When campaigners were fighting for the Yorkshire Dales to become a National Park 60 years’ ago, not all were supportive. “National Parks are not greatly desired,” blasted a clerk in the North Riding. “It is a scheme of fantasies, idealists and those out of touch with life in the countryside.” Objectors believed that “hordes” of urbanites would ruin the landscape, by dropping litter, making noise, scaring animals and damaging walls. As we move towards the National Park’s Diamond anniversary in November, the factors that made the Yorkshire Dales an attractive place to visit back in 1954 still hold true today. 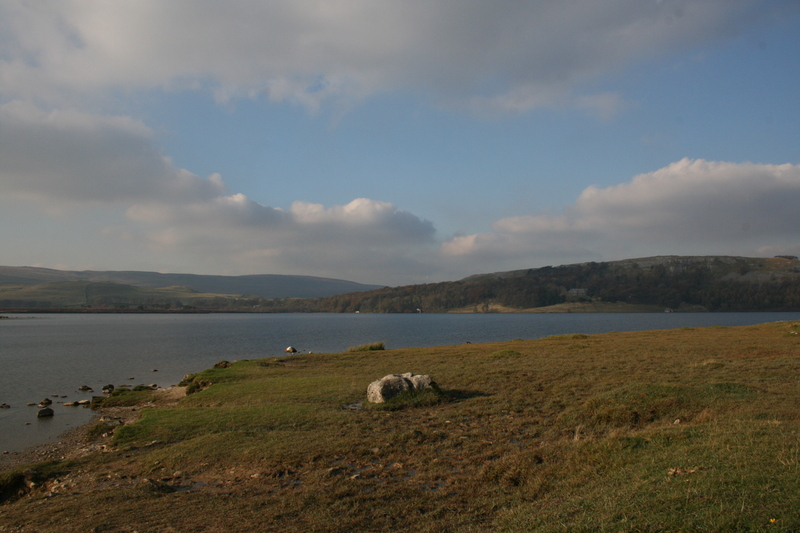 The area features some of the most limestone scenery in Britain. 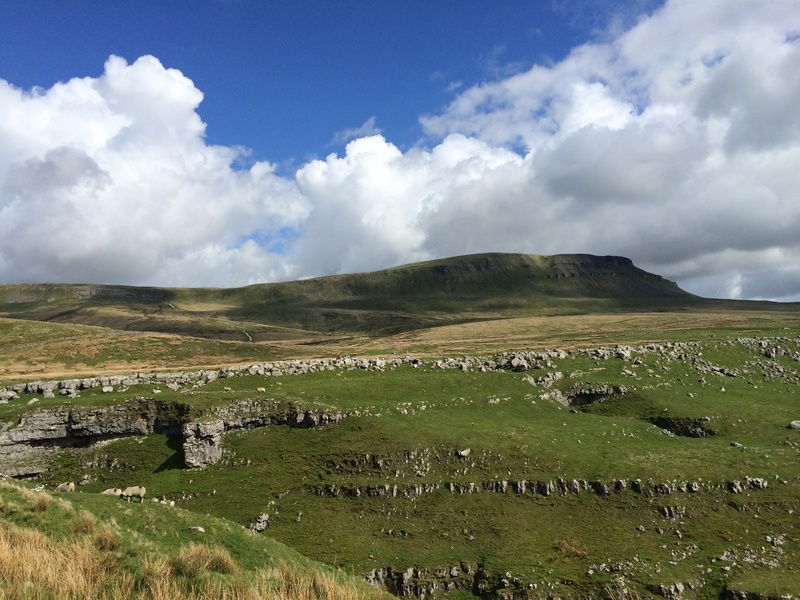 It is a walkers’ paradise, particularly in what is sometimes called the Three Peaks district, the hilly landscape encompassing the mountains of Pen-Y-Gent, Whernside and Ingleborough. Many hikers take in all three climbs as part of a 12 hour, 25 mile challenge. Others enjoy shorter walks in the rolling countryside or go up just one of the mountains. 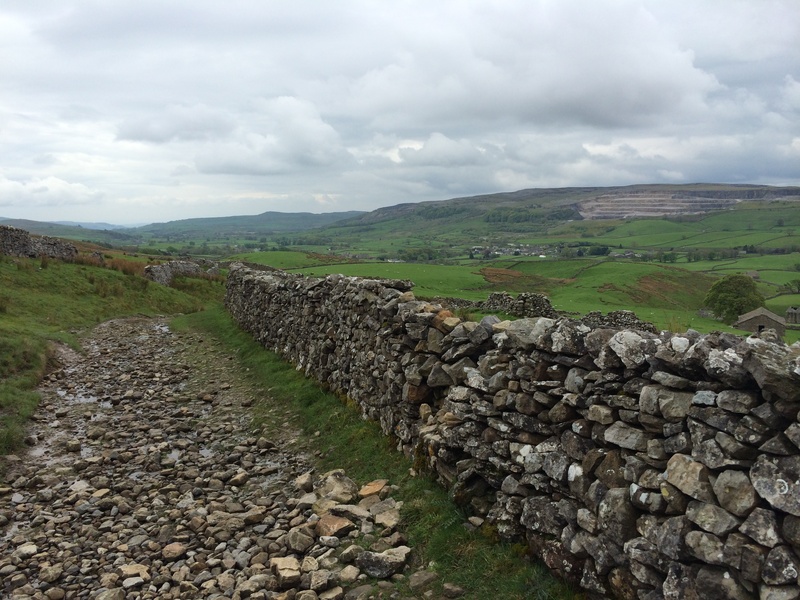 My most recent walk in the Yorkshire Dales took in a scenic stretch of the Pennine Way from Malham to Hawes. The first day of my hike (in which I went the 14 and a half miles to Horton in Ribblesdale) got off to a good start, with the curving amphitheatre shaped cliff formation of limestone rock that is Malham Cove and the later scramble up Pen-Y-Ghent. Having been fortunate to visit the Yorkshire Dales on numerous occasions in the past (including twice successfully completing the Three Peaks challenge), I have walked these parts before, but to me it always seems like I am conquering them afresh. Alfred Wainwright, the great fellwalker and guidebook author, described the route around Malham as “the best walking territory so far encountered along the Pennine way” and the descent to Horton in Ribblesdale as ‘”very, very good.” Few who have walked in this area would disagree. While the second day of my walk, a leg 14 miles from Horton, wasn’t quite as hilly and challenging, it was still pretty special. Arriving in Hawes, was fantastic – just like villages should be, with a bustling street full of shops (that aren’t just made up of chain stores) and pleasant places to grab a cup of tea. As it was a linear walk and we needed to get back to Malham to retrieve our cars, we took a ride on Settle to Carlisle railway, which passes through awe-inspiring aqueducts as equally impressive natural landscapes. It is surely Britain’s most scenic line. Walking the rugged hills of the Yorkshire Dales is fantastic, but for me the stone-built villages set in the ‘dales’ (valleys) themselves have just as much – if not more – character. Malham, where I started my recent walk, is one of my favourites, with two friendly pubs serving a good range of ales and tasty food, plus an information centre where walks can get all the maps and books they need to plan good routes. 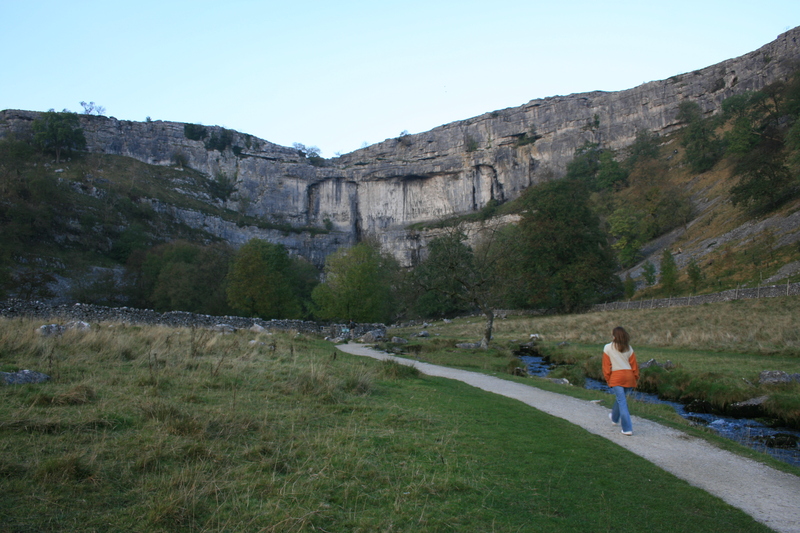 We stayed in Malham Youth Hostel, which opened in 1938 and was the first purpose-built youth hostel in Yorkshire. As with other spots in the movement, it was opened to enable people to enjoy the Dales, regardless of their backgrounds and budgets (today the £29 per night fee for a twin room is still excellent value when compared against some pubs and hotel tariffs in the area). Horton doesn’t have as much charm as Malham or Hawes but given that it the official starting point for the Three Peaks challenge it doesn’t usually have a problem attracting visitors. In fact on all my previous trips I’ve only been able to get a spot in the bunk barn or campsite (on one occasion it was so busy that we needed to camp in a car park). 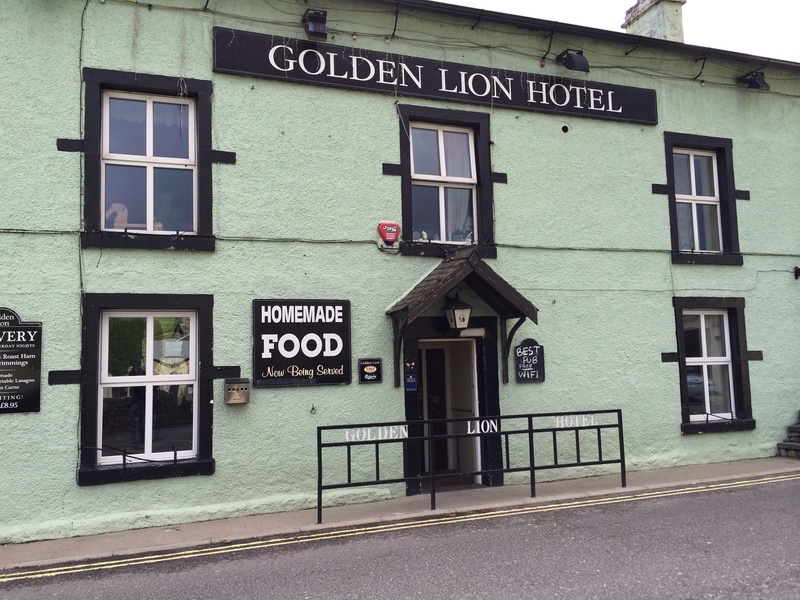 Visiting mid-week this time, when the village was virtually deserted, meant I was able to get a comfortable room above the Golden Lion pub (a former coaching inn that is believed to date back to the 16th century). We had a meal and ales down the road at the Crown Hotel, a place so busy in the weekends during the summer that you can barely get through the door, let alone find a table. As it was quieter, a proper group conversation developed in the cosy lounge bar, where we debated the best walking routes with fellow hikers while locals popped in to pick-up their take away fish and chip meals. Back in 1835 William Wordsworth said in his Guide to the Lakes that the Lake District should be the “sort of national property in which every man has a right and interest to perceive and a heart to enjoy.” In the end, the first National Park was in the United States (Yellowstone, in 1870) but soon the quest to make open spaces accessible to all spread to Britain. It was the height of the industrial revolution and social reformers felt that the working classes should have access to clean, fresh air in expansive countryside. Following the passing of the National Parks and Access to Countryside Act of 1949, 15 National Parks were created in Britain over the six decades that followed (the Peak District and Lake District coming in 1951, before the Yorkshire Dales appeared on the scene in 1954). The Bill that had ultimately led to the foundation of the National Park reality in Britain had two core purposes: “to conserve and conserve and enhance their natural beauty, wildlife and cultural heritage” and “to promote opportunities for the understanding and enjoyment of their special qualities.” And visiting the Yorkshire Dales, 60 years on from its creation, those qualities stand true today. It is the perfect place to get away from everything and enjoy beautiful, open countryside. Rather than destroying the Dales, as that clerk had predicted back in 1954, the eight million visitors that come every year are vital for the safeguarding the rural economy by providing tourism jobs and a valuable sources of income for businesses. A really good piece, with some great photos.